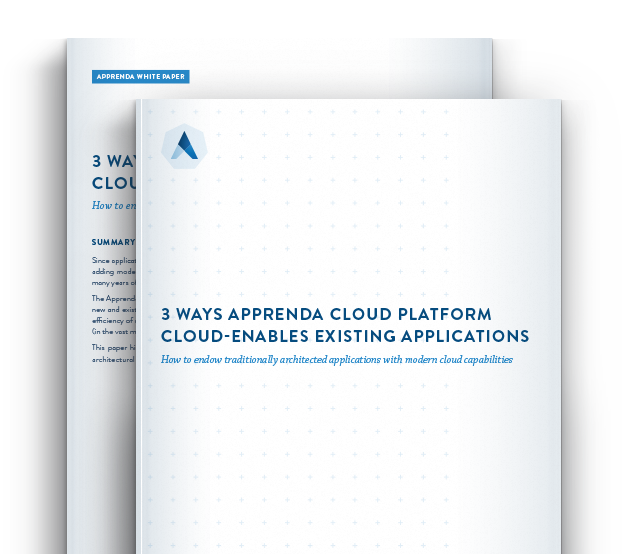 Apprenda is the only enterprise cloud platform that supports both new and existing applications. The platform expedites time-to-market and improves hosting efficiency of new applications, while extending cloud capabilities to traditionally architected applications (with minimal to no effort). This paper highlights three primary architectural mechanisms in the platform which bring your organization unique and valuable capabilities. We'll work around your schedule! Explore the Apprenda platform with a private 45 minute demonstration from an Apprenda expert.